Breaux Bridge, Louisiana is the Crawfish Capital of the world and is home of the Breaux Bridge Crawfish Festival which takes place annually on the first weekend of May. For those of you who have never been, this is an event to experience! 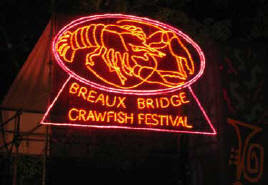 It's full of Cajun traditions, music, dancing, food, fun and an opportunity to submerge yourself in the Cajun culture. If you have a opportunity to get away, you should make plans to attend. 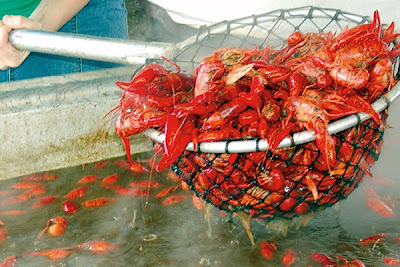 Not only can you enjoy Cajun music and dancing but you can try crawfish prepared every way imaginable and by the best cooks! 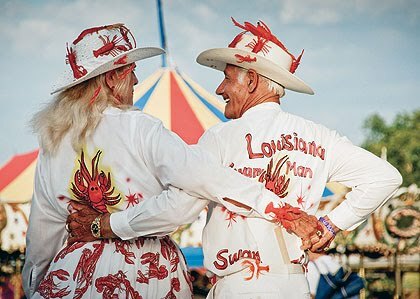 Also, you can get to know the locals, hear their wonderful cajun accents, become enthralled by the stories they tell and listen to some hilarious cajun jokes! It's truly an experience that you'll never forget. Just another snapshot into Life In South Louisiana! Laissez les bon temps rouler, Cher! Jillian, Liv and I just clapped through that whole video! Toe tappin' music for sure! I will be doing the same hopefully. Im so anxious to get them. Who are you going to for removal. I live in New Orleans, my plastic surgeon is in BAton rouge. I go monday for my consult to them out. Also is he doind capsule removal and suturing internal tissue?